The most important elements of any business are location, location, location. We are located on one of the main arterial highways in Citrus County within 30 minutes of most locations. Our units are spacious and the grounds are well maintained. No building is over 6 years old. There is ample parking, including handicap accessible spaces. 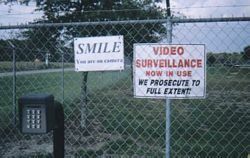 Enhanced security with 24 hour video monitoring. A key pad access gate as well as a 6 foot security fence around the entire complex is provide to ensure safety for your business and property. Currently there are 12 buildings occupied . 22 tenants occupy these units. 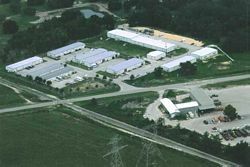 Units are available from 1000 to 5000 square feet and expandable in 1000 foot increments. Easily adapted interiors allow for customization in order to fit your business needs.